Hungry tummies make for grumpy children! Since we work with children, we see how they can quickly lose a lot of energy and a desire to have fun when they are not getting the proper nutrition to go through our Junior Boots™, camps, mobile training, and even the birthday parties. It’s important that when you enroll your child in any kids fitness program that they have energy boosting snacks that will keep them working hard through our obstacle courses. As a teamwork based program, we will never leave anyone behind, so make sure your child eats their veggies and other energy boosting snacks to keep their mindset strong and the environment fun. For further information on our obstacle courses and kids fitness programs, take the time to reach out to Hot Ground Gym®. At Hot Ground Gym, we take pride in our kids fitness programs. From kindergarten to eighth grade, we have a company for every age group. Each of the pillars in our Junior Boots™ program focuses on helping to develop your child’s teamwork, leadership, critical thinking skills, discipline, and physical fitness. We’re proud to offer such a versatile and fun environment for kids. From helping to build confidence to learning better communication skills, our kids fitness programs offer it all. However, it’s of the utmost importance that you make sure your child has the energy to get through our programs after school or on the weekends. 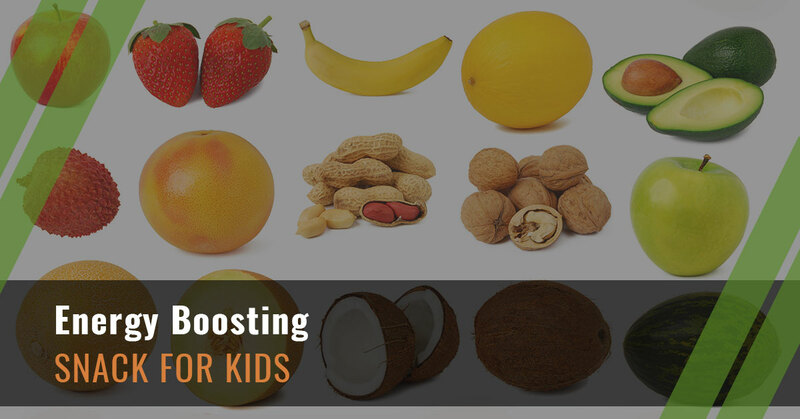 To meet that goal, check out some of our energy boosting snacks that any child will enjoy. Trail Mix: A go-to for many parents, trail mix is easy to make and carry around. There are so many trail mix recipes, but generally, they consist of mixed nuts, dried fruit, pretzels, and even small bits of dark chocolate. Popcorn: We’re not talking about the microwave popcorn, but the legitimate homemade popcorn. Olive oil or coconut oil are great substitutes for butter and air-popped popcorn will keep the healthy nutrients and energy high. Peanut Butter And Fruit: Peanut butter and fruit is a great combination for kids. Peanut butter has protein and fruit helps with nutrients to ensure your little athlete has the energy to go through the day. Whether your child wants peanut butter and apples or bananas, they are both delicious. Cheese Kebabs: Cheese is so delicious and nutritious. Instead of handing your child a string cheese because it’s easy, these kebabs will keep your child working hard through our programs. Ants On A Log: Similar to peanut butter and fruit, Ants On A Log are fun and easy to make. They will also encourage your child to love eating raisins, celery, and peanut butter. Celery alone doesn’t have much to offer, but raisins and peanut butter will get those energy levels up and keep your child satisfied. Veggies And Hummus: Just like peanut butter, hummus is a great energy boosting snack. You can pick any type of veggie that your child will love to eat and pair with hummus. Additionally, it’s easy to make and snack on. Now that you have some ideas on easy and energizing snacks, let’s get started on a membership to our kids fitness facility.